Whether you use Google a little or a lot, you have full control over clearing your Google search history whenever you want. Follow the steps below to learn how to delete your Google history from your Google account, from Google's Chrome web browser or and from the Google app. Clearing your Google search history doesn't mean Google automatically deletes the data it collected about your searches. Google still keeps records about how and when you use certain features, even when you delete the details of your activity. 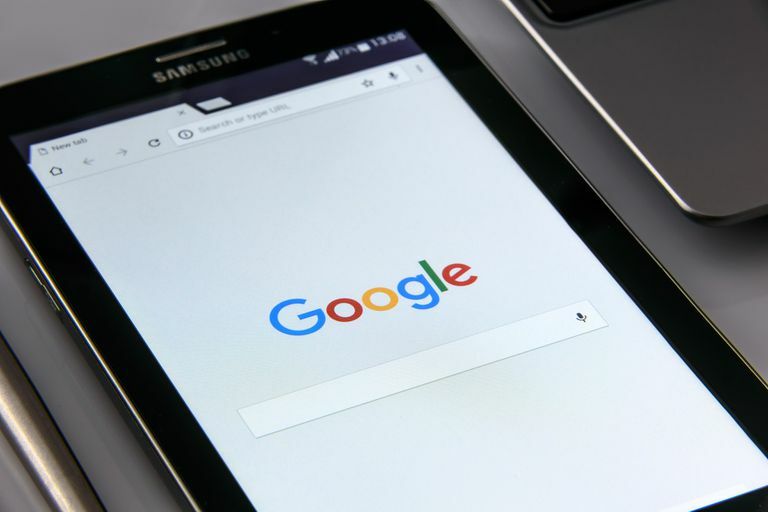 If you clear a search query from your account, Google still knows you searched for something – just not exactly what you searched for. Visit myaccount.google.com in a web or mobile browser and sign into your Google account if you're not signed in already. Select the Data & personalization category on the left, then scroll down to Activity and Timeline. Select My Activity. To clear all of your Google search history, select the three vertical dots in the top right corner of the screen, then select Delete activity by. Select the drop-down arrow beneath Delete by date: Today and change it to All time. If you want to clear individual Google search activity items, simply scroll through your My Activity page to find the search item you want to delete. Alternatively, you can use the Search field or Filter by date & product option at the top to find a specific search item. Select the three vertical dots in the top right corner of the item, then select Delete to clear it. Open your Chrome web browser on a desktop or laptop computer. Select the three vertical dots in the top right corner of your browser. Select History from the drop-down menu, then select History again from the submenu. To clear all of your search history between a specific time and now, select Clear browsing data on the left side of the screen. On the following tab that opens, select the down arrow beside Time range and choose All time from the drop-down menu to clear your history. Optionally, uncheck any of the items below if you want to keep them. Select the blue Clear data button. To clear individual search items, go back to the History tab and scroll through your search items or use the Search field at the top to find the item you want to clear. Select the three vertical dots to the right of it. Open the Chrome web browser app on your Android device. If your device is running on a newer Android operating system, you can swipe up on the address bar from the bottom, then tap History. If your device is running on an older operating system, tap the three vertical dots in the top right, then tap History. If you want to clear your entire search history, tap CLEAR BROWSING DATA. Tap the down arrow beside Time range and select All time. Optionally, uncheck any of the items listed below if you'd prefer not to clear them. Tap Clear Data in the bottom right. If you want to clear individual search items from your history, go back to the History tab and scroll down to find the item or tap the magnifying glass to search for an item. Tap the X to the right of it to clear it. Open your Chrome web browser app on your iPhone or iPad. Tap the three horizontal dots in the bottom menu. Tap History in the submenu. To clear all of your search history, tap Clear Browsing Data at the bottom. On the following tab, make sure Browsing History is checked. If it's not, tap it to add a checkmark. Optionally, tap to check or uncheck any of the items below. Tap the red Clear Browsing Data button. If you want to clear individual search items from your history, go back to the History tab and tap Edit in the bottom right. Scroll down or search for an item you want to clear, then tap the circle beside it to add a checkmark. Tap Delete in the bottom left. Tap the More icon in the bottom menu. At this point, you'll be taken to the same web page as above, only on your Android device. Follow those steps to delete your activity. Open the Google app on your iPhone or iPad. Tap the gear icon in the top left corner to access your settings. Scroll down and tap My Activity. From here, the steps are similar to Android and the web, above. To clear all of your search history, tap the three vertical dots in the top right, then tap Delete activity by. Tap the drop-down arrow beneath Delete by date: Today and change it to All time. To clear individual search items, search for or scroll through your My Activity page to find the search item you want to delete. Tap the three vertical dots to the right of the item.